View Operation Overload and over 3,000,000 other topics on Qwiki. 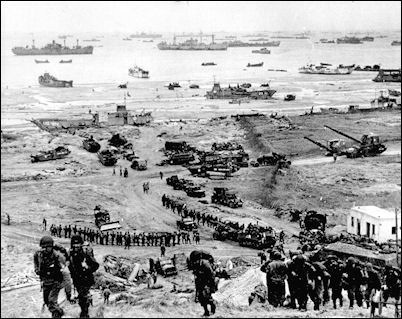 Summary- It was believed that whoever won the beaches in Normandy would win the war; therefore, the Americans attacked Utah & Omaha, Canadians attacked Juno beach and the British, Free French & Polish attacked Sword beach & Gold beach. Germans set up defensive measures to stop Allies from storming the beaches but due to the success of Operation Overlord worked, the Allies were successful.